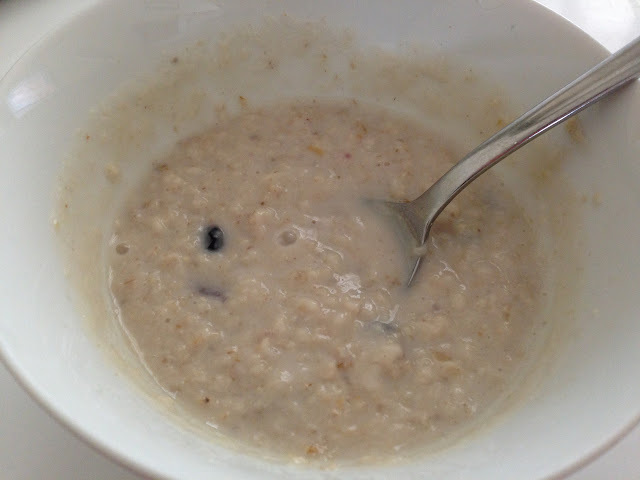 I've recently grown to love porridge. I don't really know where this has come from as I used to hate it but now it's the only thing I choose for my breakfast every morning. It was a bit of a coincidence when I got an email from Graze telling me about their new Good Breakfast Club. I couldn't turn down the chance to try four new porridge flavours for free and i've really enjoyed not having to think about what i'm having for breakfast for a few days. Blackcurrant & Cranberry - This was really fruity and is definitely a flavour i'd choose again. The dried fruit was really juicy once it was warmed up in the porridge and there was enough so that you could taste it in each spoonful. Cherry & Almond - I don't really like almonds unless they're really finely ground but I still enjoyed this flavour. The cherries were really juicy and the addition of honey made it really sweet which I loved and i'd definitely like to try and make this myself! Blueberry & Lingonberry - This was similar to blackcurrant and cranberry as it was quite fruity but it also had the addition of green raisins which are my all time favourite Graze ingredient! Apple & Cinnamon - I knew i'd love this flavour before I tried it and I wasn't disappointed. The apple was really juicy and you could really taste the cinnamon which was nice too. Admittedly porridge isn't the most appealing food in the world but it tastes so much better than it looks! 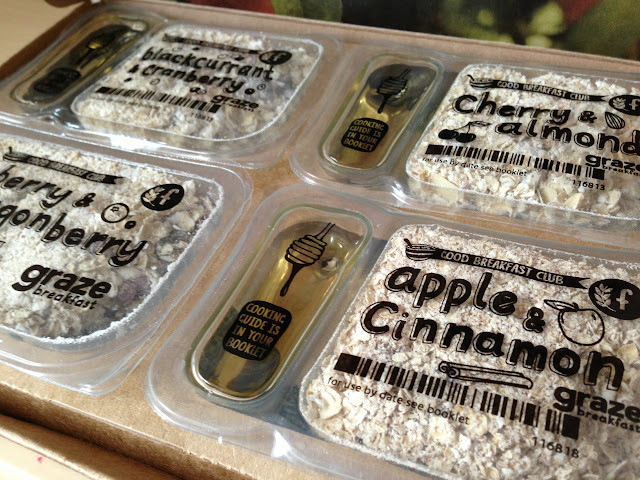 I found that the Graze porridges were the perfect size to make enough to fill you up and give you a good breakfast. I used almond milk to make mine which worked well so i'm sure using normal milk would work perfectly too. Although I think £2.49 is quite expensive for 4 days worth of porridge (you can buy a box that will last a lot longer for around £2 in a supermarket) I found them really convenient for days when I didn't want to think about what flavour to make. They're really good if you don't have a lot of time in a morning as you don't need to waste time finding ingredients or if you're travelling and want something small and easy to pack. I love that they give you a little honey to go with it! Apple and cinnamon would definitely get my vote as the favourite even before tasting. I agree about the price though! I think I'd stick to supermarket packs.